It is time to replace the ineffective system of food deprivation with one of enjoyment and to shift from a philosophy of avoidance to one of encouragement. The time has come to embrace a more positive and balanced approach to eating well, focusing on tasty and nutrient-rich foods that can bring positive health benefits. 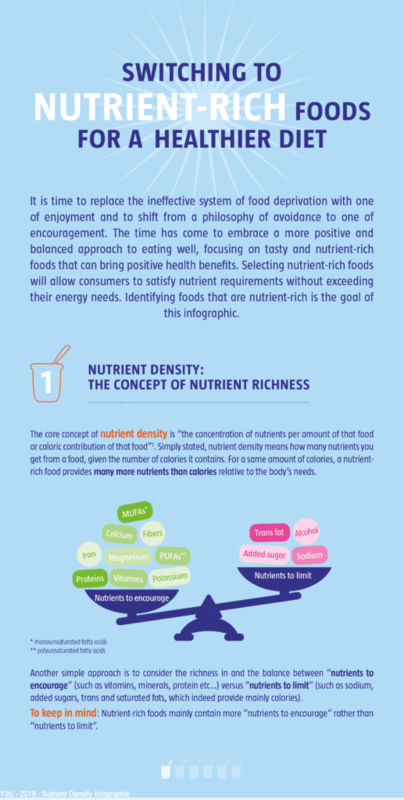 The core concept of nutrient density is “the concentration of nutrients per amount of that food or caloric contribution of that food”. For a same amount of calories, a nutrient-rich food provides many more nutrients than calories relative to the body’s needs. We need a good balance of macronutrients (proteins, carbohydates, fat) and micronutrients (vitamin, minerals) to feed our body. 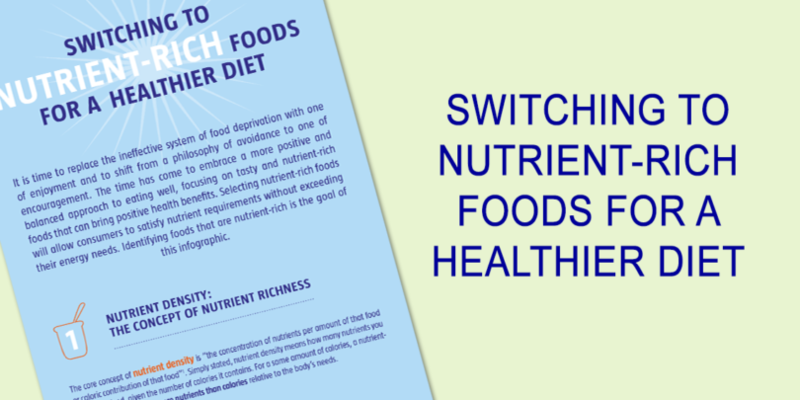 By choosing a variety of nutrient-rich foods in our daily diet while limiting empty-calorie foods (which are also often energy-dense foods) we could reduce the overall energy density and therefore facilitate weight management. 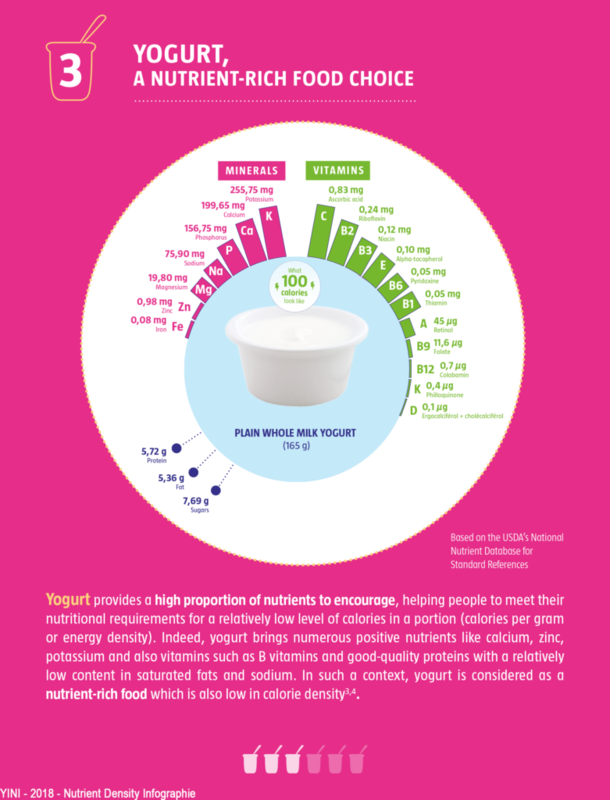 Among those nutrient-rich foods, yogurt provides a high proportion of nutrients to encourage, helping people to meet their nutritional requirements for a relatively low level of calories in a portion (calories per gram or energy density). 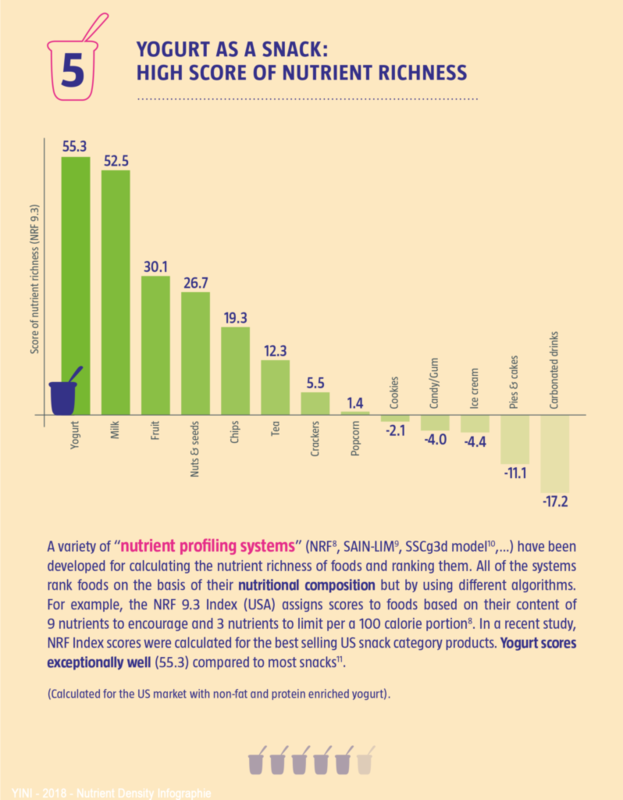 Selecting nutrient-rich foods will allow consumers to satisfy nutrient requirements without exceeding their energy needs. 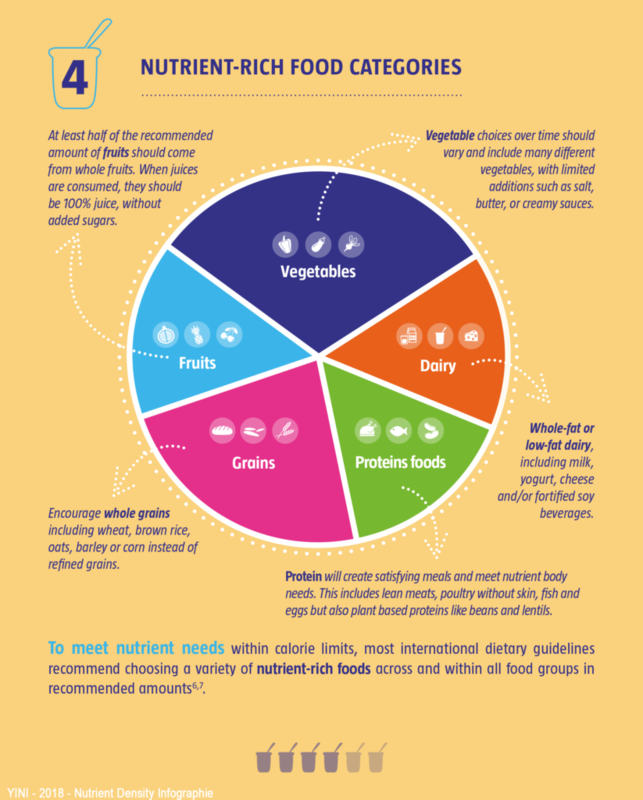 Identifying foods that are nutrient-rich is the goal of this infographic. Could yogurt be the foundation of a healthy breakfast?